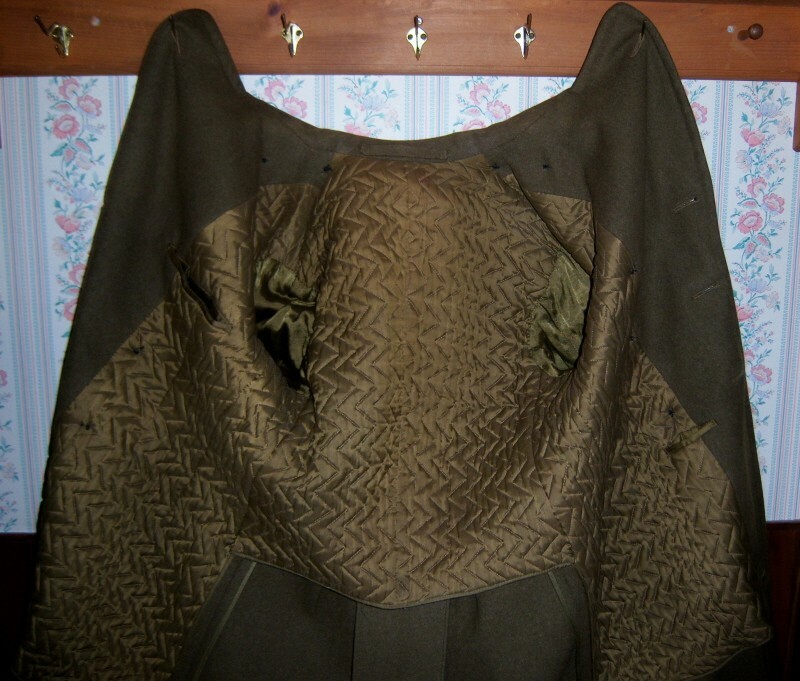 I was given a WWII-style Canadian Army 3/4 length winter coat back in the early '70s. It came from a former member of the 48th Highlanders and I specifically remember him saying that he had to replace the eight '48th' brass buttons with regular CF ones as the '48s' had to stay with the unit in Toronto. There are absolutely no markings other than a white tag bearing a number '6'(size?) sewn on the inside flap. It has a quilted 'sateen' lining extending from the neck & shoulders down to the small of the back. It frankly looks as if it had never been worn (except by me unitl I discovered how bulky it was while driving the Toyota Crown). Can I assume that this is a post-war issue (1952 perhaps)? 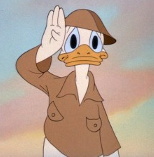 How close is it in design to the orginal WWII issue? Could a re-enactor use it if it was properly badged? Do you have a photo of the jacket? 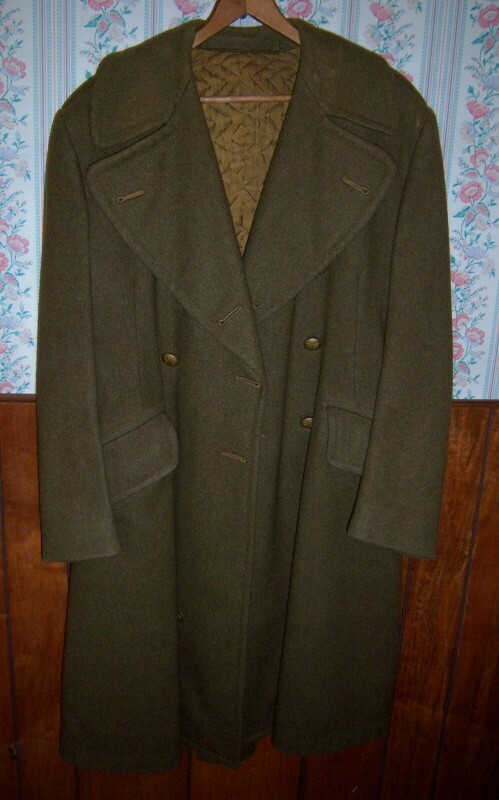 Hi Dave, With the description it sounds as if it is a post war greatcoat. A picture would be a great help. Sorry about the one-at-a-time posts, couldn't seem to do a multiple upload. I compared it to some pics in Bouchery's book and it doesn't quite match. Is there a post-WWII market for this sort of thing? This one is post war. 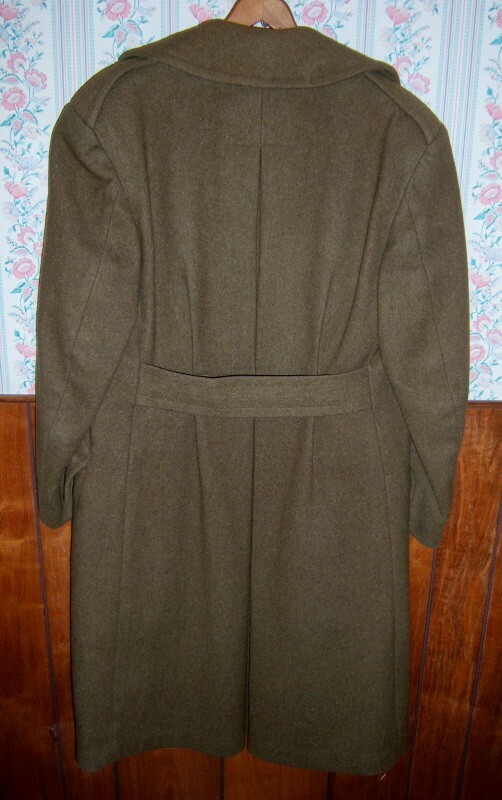 I would say it is good enough for reenacting but even the WWII dated greatcoats don't go for a lot of money. As a side note, I have my Uncles list of kit from Korea and his greatcoat is listed as costing $39.50, which is more than I paid for an example some 55 years later. I have a few WWII dated examples I have tried to sell and no one seems to want them. Kind of expected that but good to know.